"One night, ten bars, lots of mayhem." 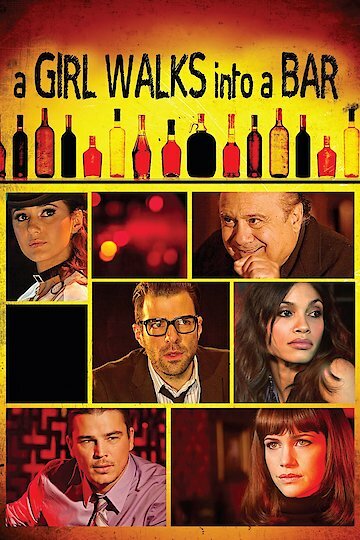 "A Girl Walks into a Bar," released in 2011, is a comedy that takes place in various bars in Los Angeles. The characters are all strangers who meet that night. Their conversations are sparked when a dentist teams up with a potential assassin in order to kill his wife and agrees on an amount to pay the would-be killer. The audience is privy to the fact that this assassin is actually an ex-cop in disguise. This is a true ensemble comedy, featuring nefarious characters from all walks of life in bars, nightclubs, and strip clubs alike in downtown LA. A Girl Walks into a Bar is currently available to watch and stream, buy on demand at Amazon, Vudu, iTunes online.